READY TO MOVE IN! Freshly painted! *Luxurious and One of a Kind Townhome in Winthrop Village built by Taylor Woodrow with walking distance to almost everything.Winthrop is a charming community that welcomes you with front doors and porches instead of garages, which are tucked in the back. Walk to- shopping, dining, nightlife, arts, Drs office, private community center with state of the art fitness center, catering kitchen and pool, and highly rated schools from daycare through High School! 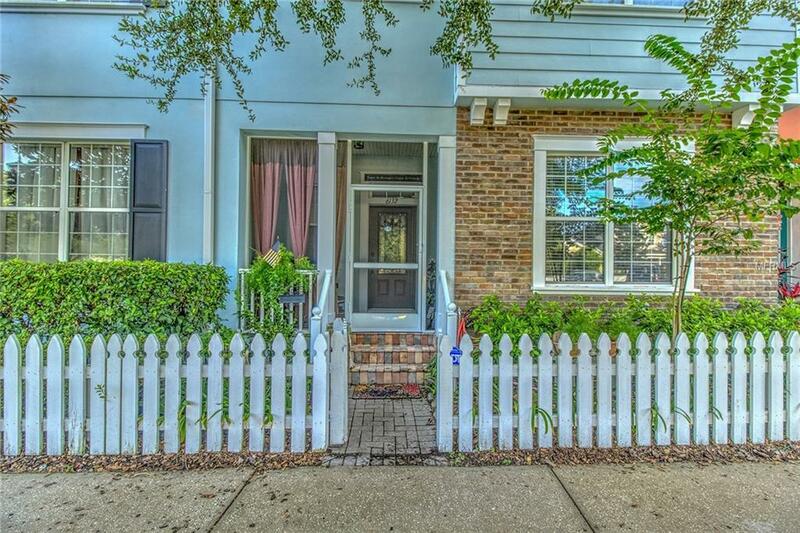 Convenient to downtown Tampa, Hyde Park, MacDill Air Force Base, hospitals, and beautiful beaches. This home has all the upgrades including the optional private den/office, granite kitchen counters, stainless appliance, GAS range, backsplash, upgraded cabinets, ceiling fans, volume ceilings and blind package. Second level features three spacious bedrooms including a generous master suite with a huge walk in closet and an oversized en suite master bathroom, second full bathroom, a half bath on the lower level, an Attached full sized 2-car garage and an addition of a 12 X 11 Florida Room for your private enjoyment! Fenced in backyard, screened front and rear porches with a single home feeling, you will love to enjoy privacy and hear the birds! Maintenance includes resort style luxury pool, world class fitness center, community center, all the exterior maintenance and the Roof, playground, park for your loving pets, and more! MUST SEE to appreciate space! Call NOW!